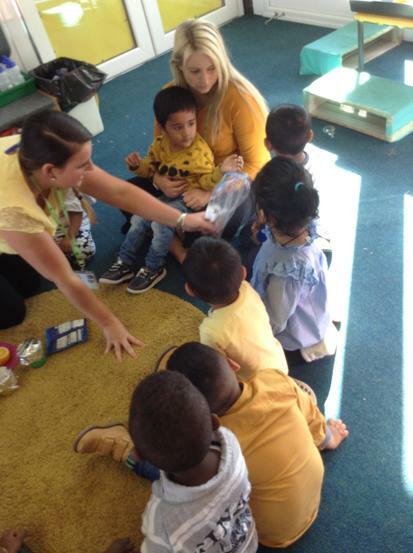 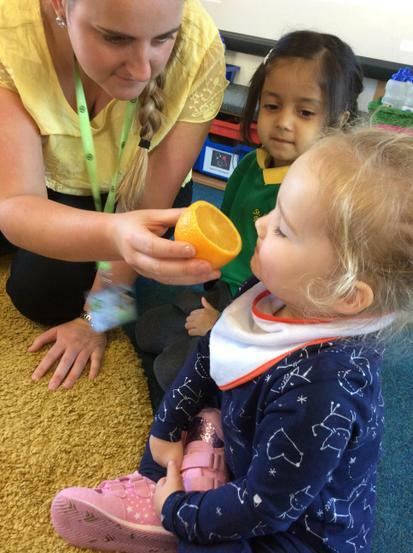 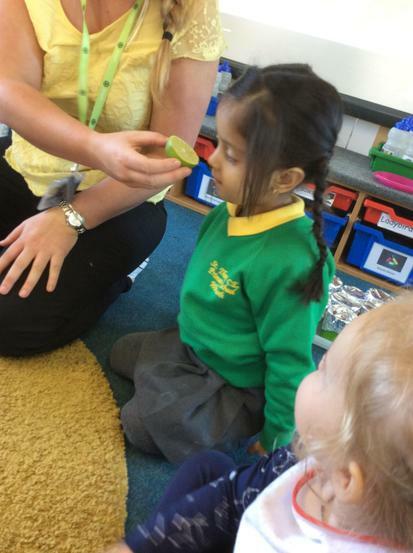 The children have been learning all about their senses. 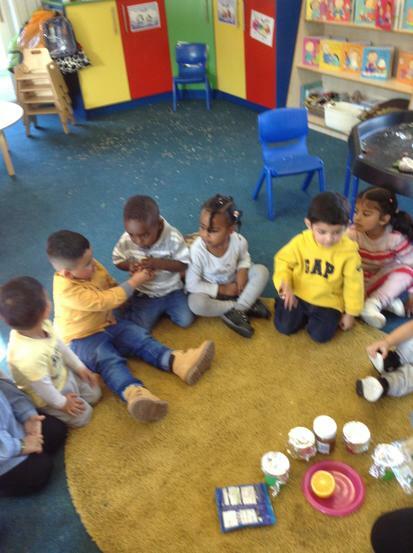 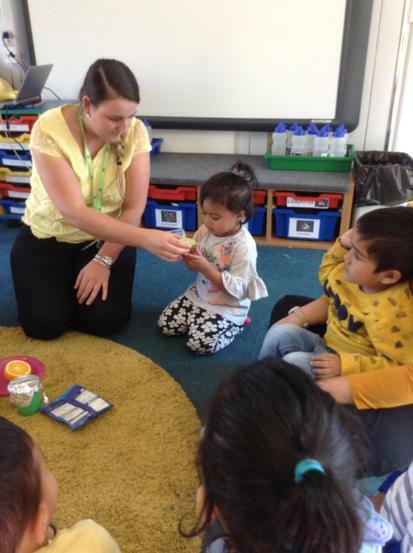 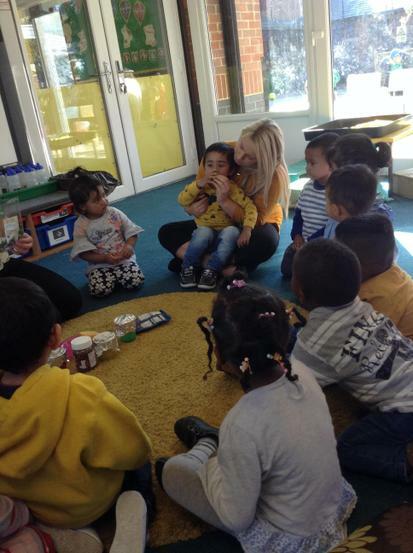 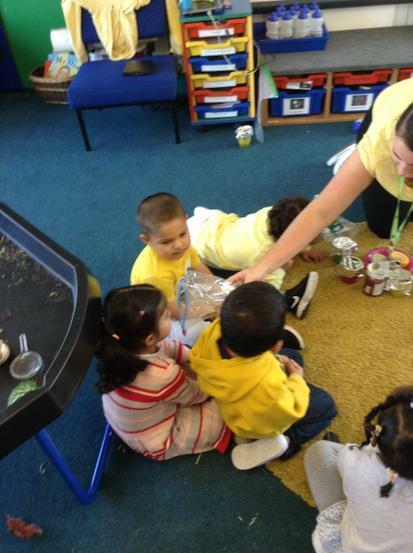 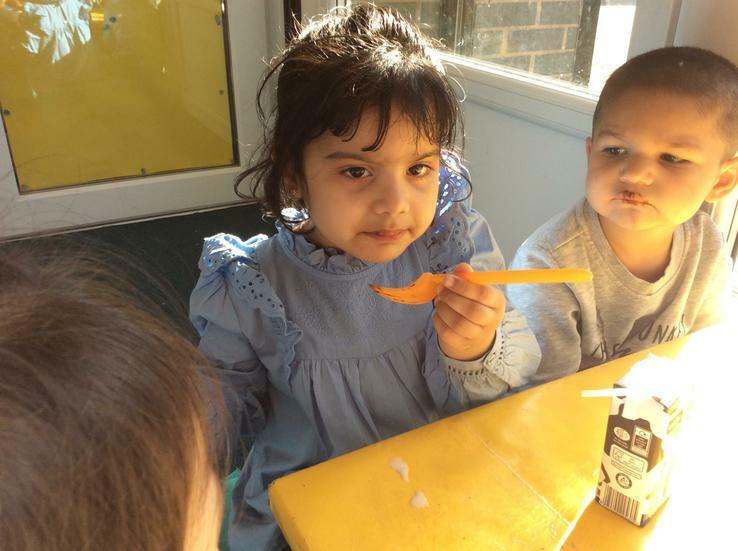 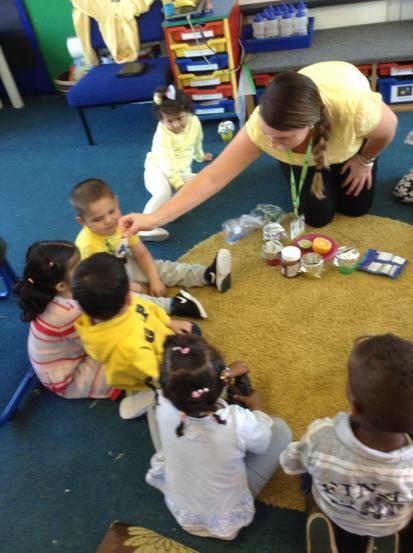 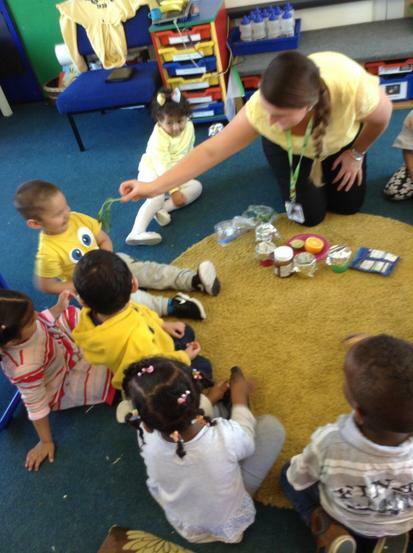 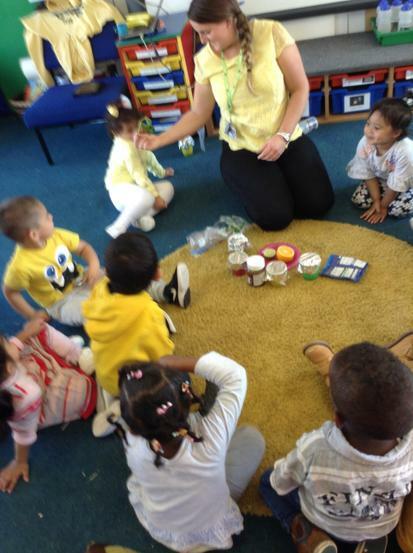 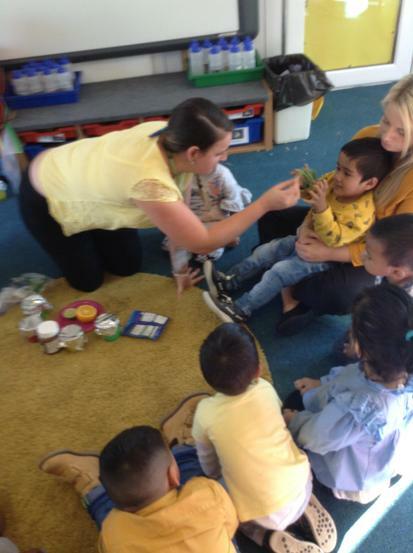 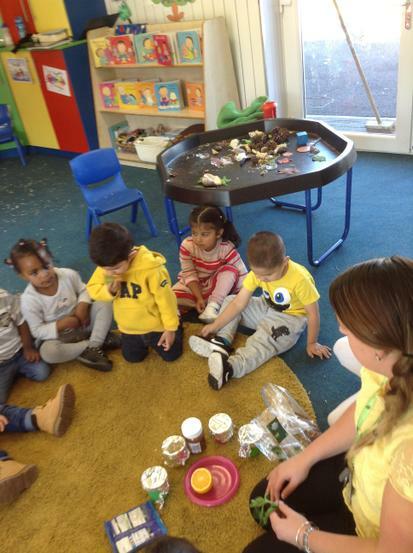 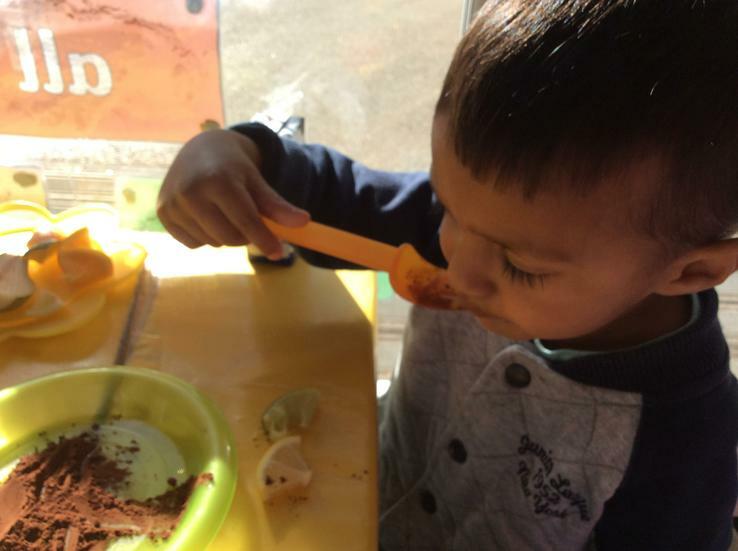 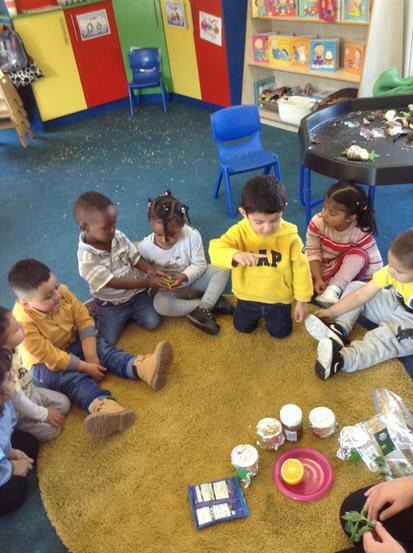 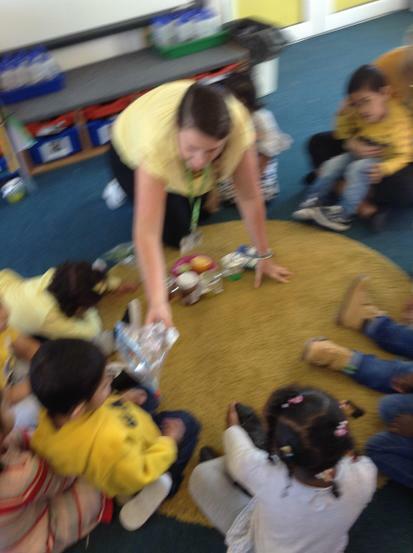 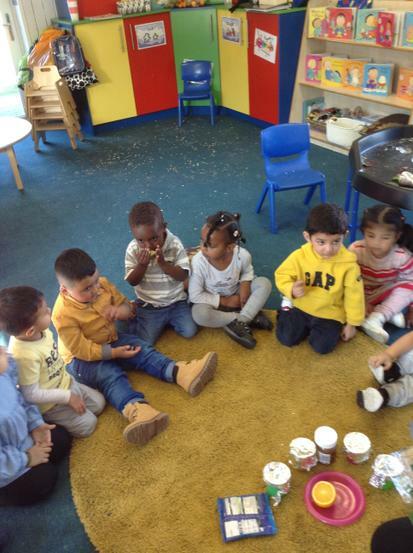 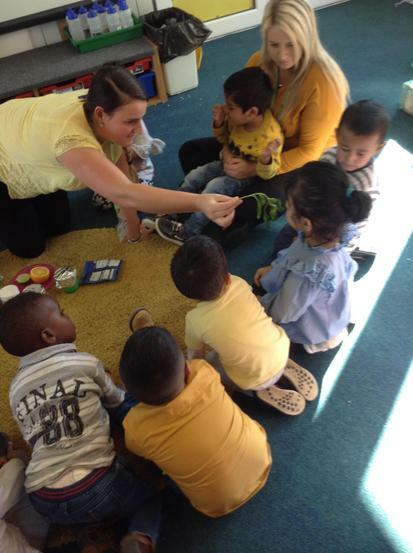 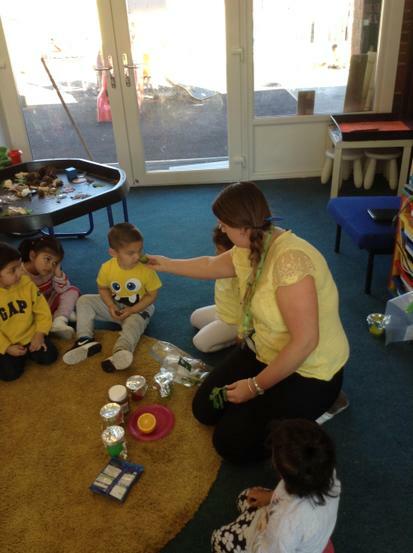 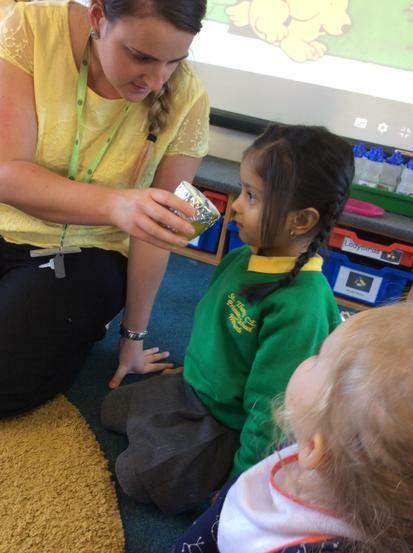 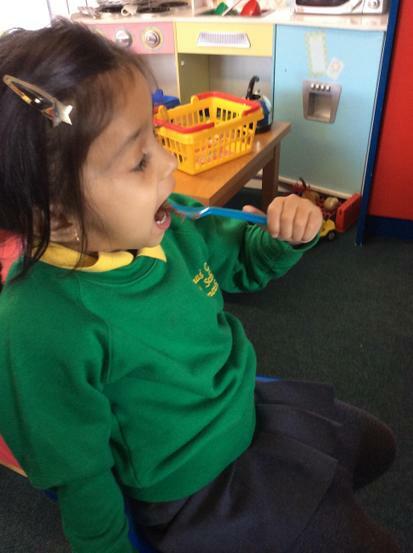 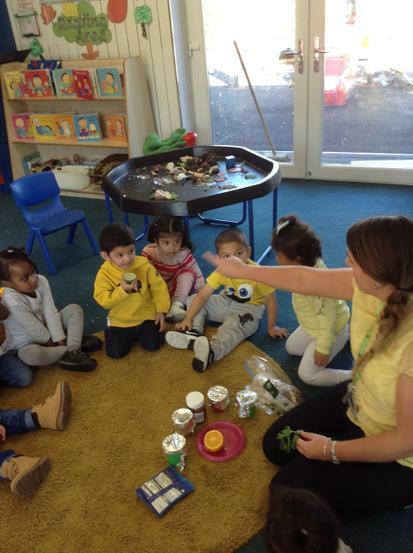 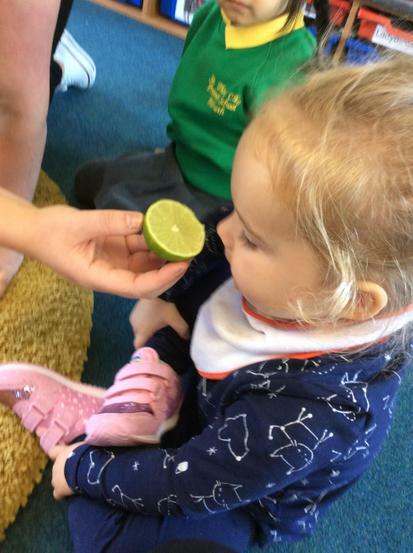 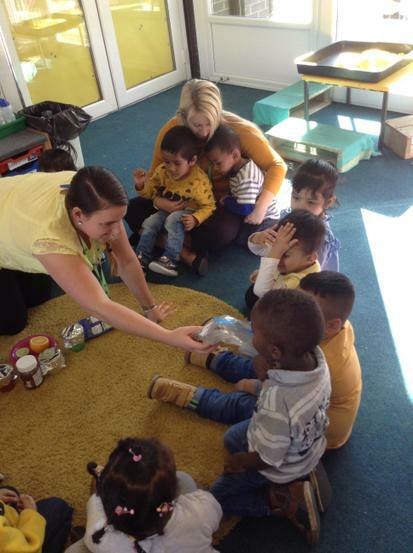 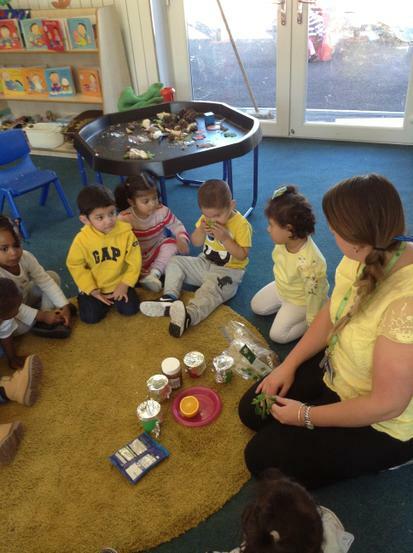 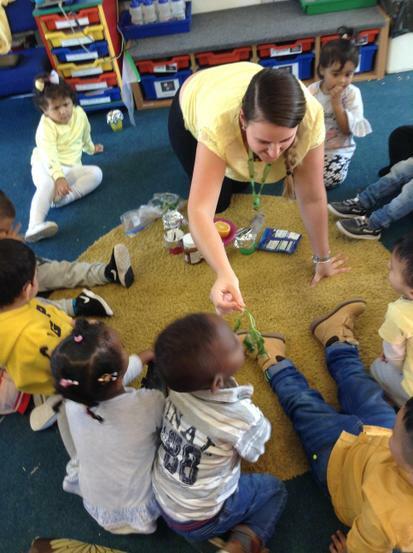 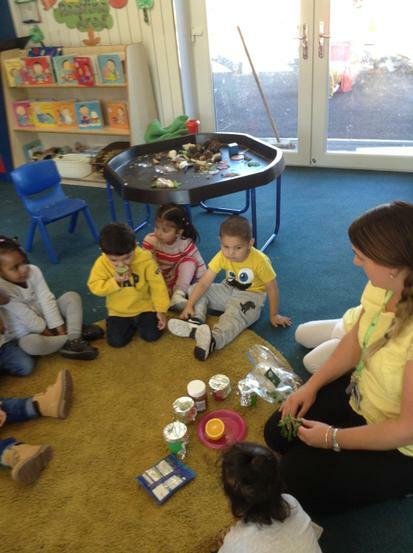 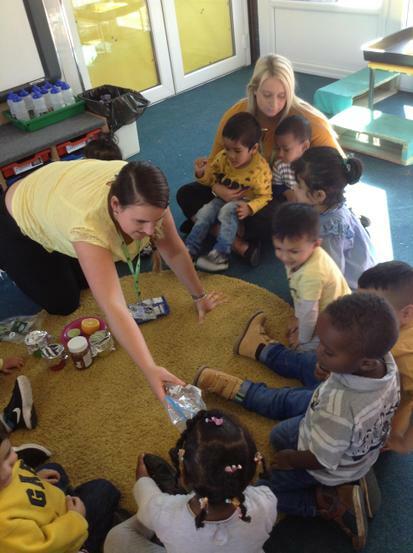 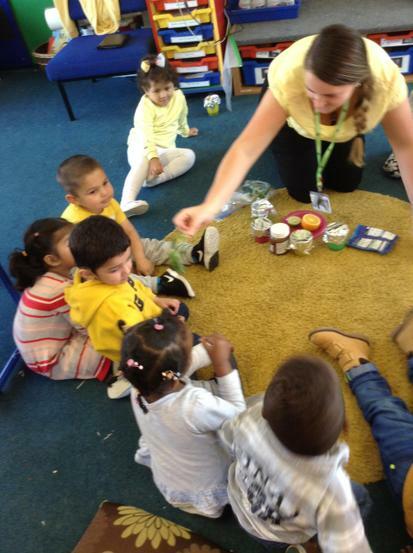 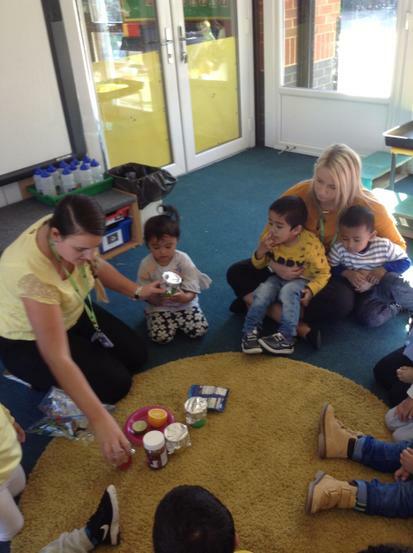 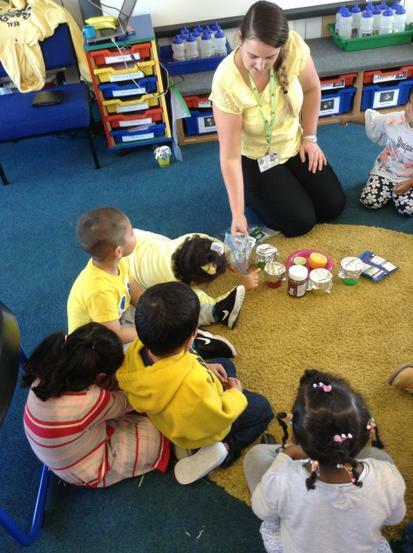 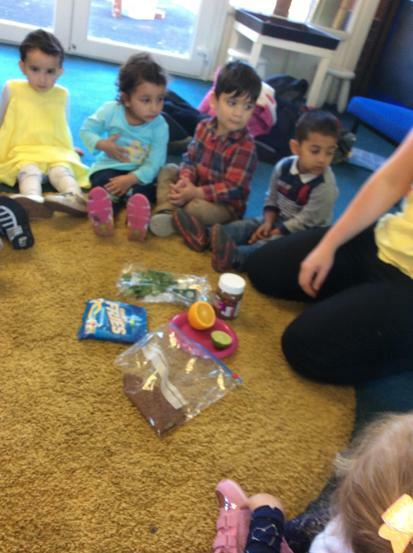 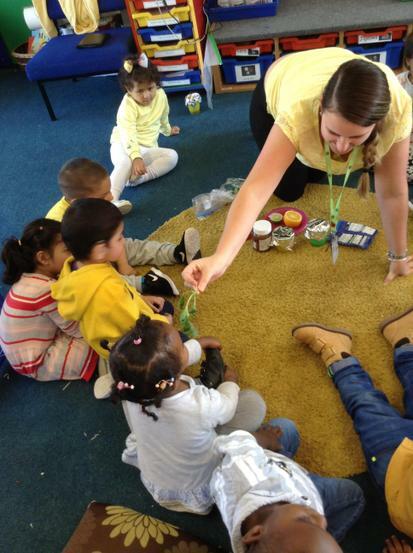 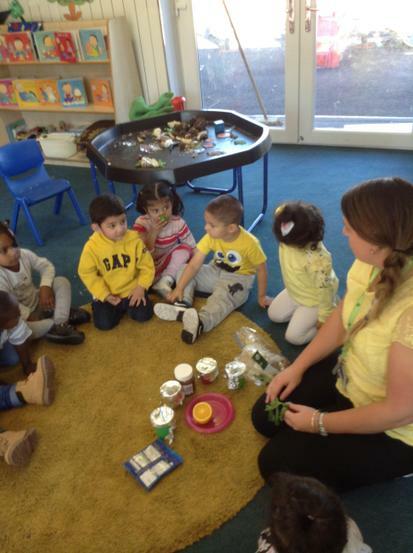 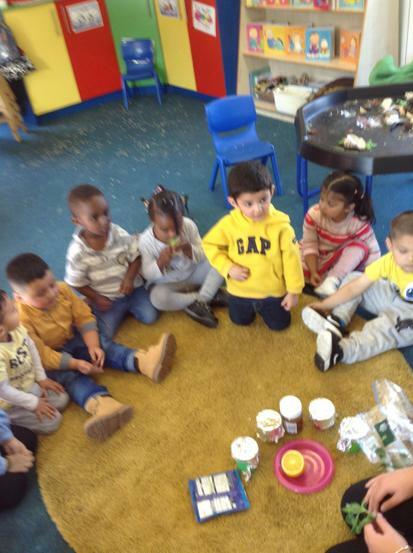 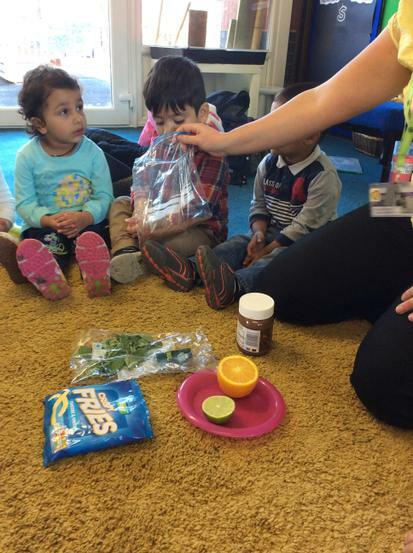 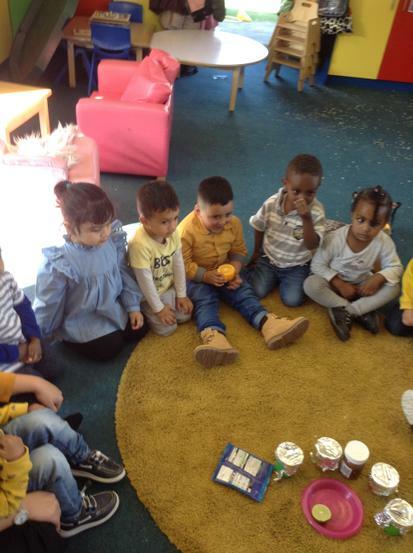 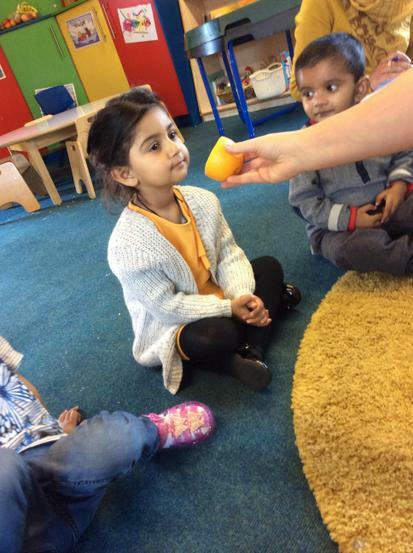 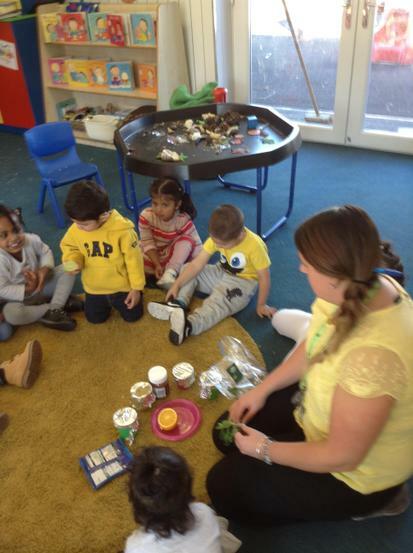 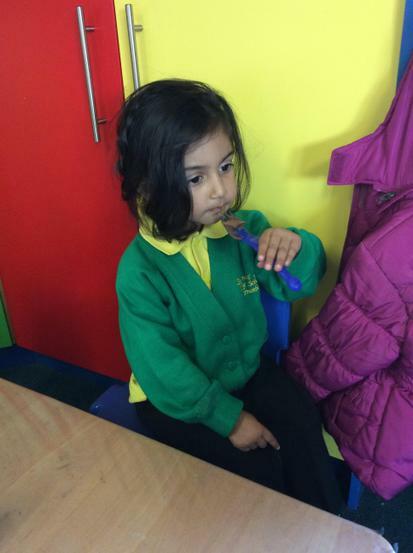 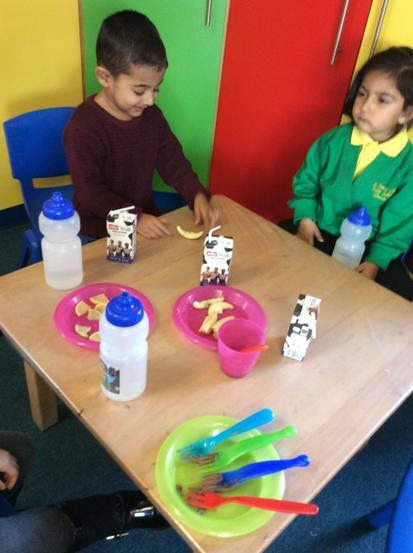 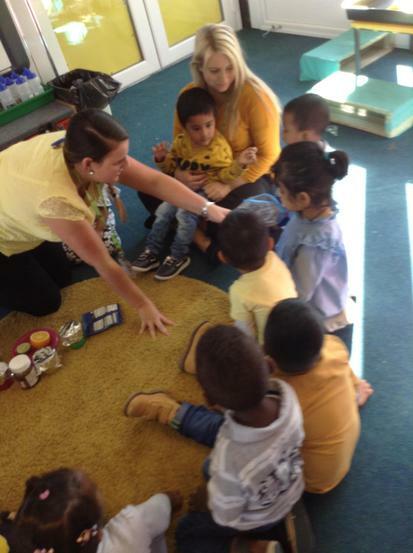 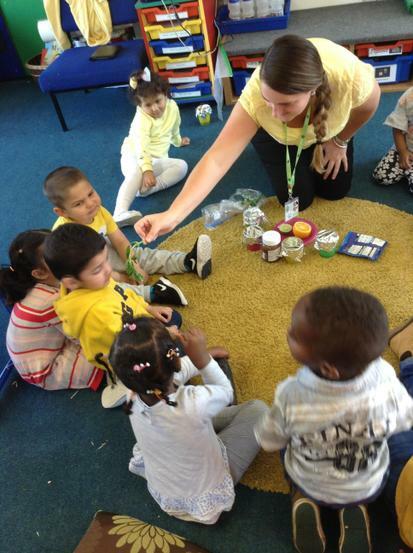 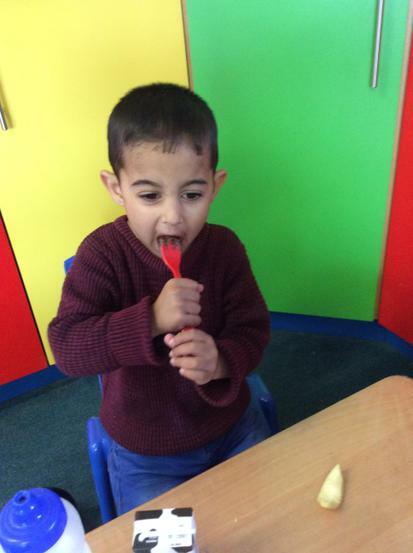 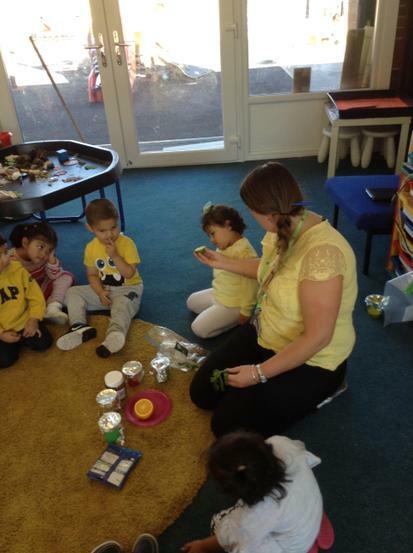 The children were able to smell, touch and taste different foods. 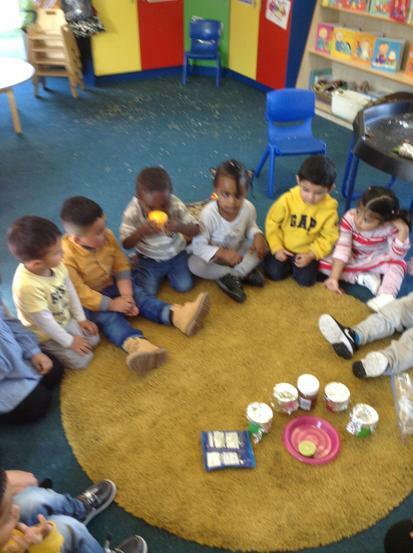 They tasted a lemon for sour, coco powder for bitter, chocolate spread for sweet and salt & vinegar crisp for salty. 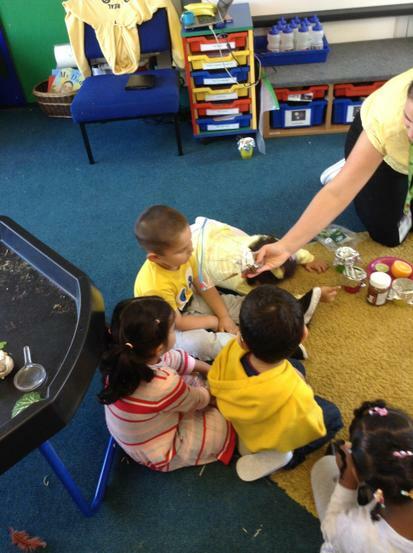 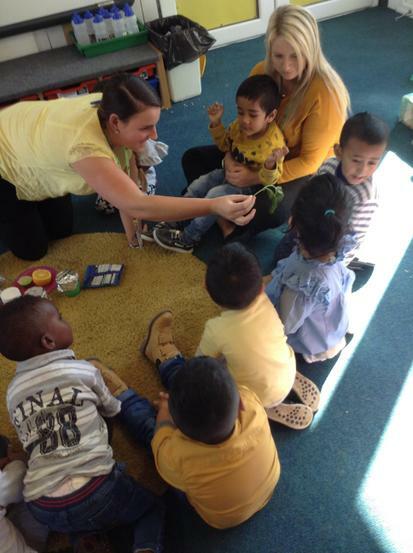 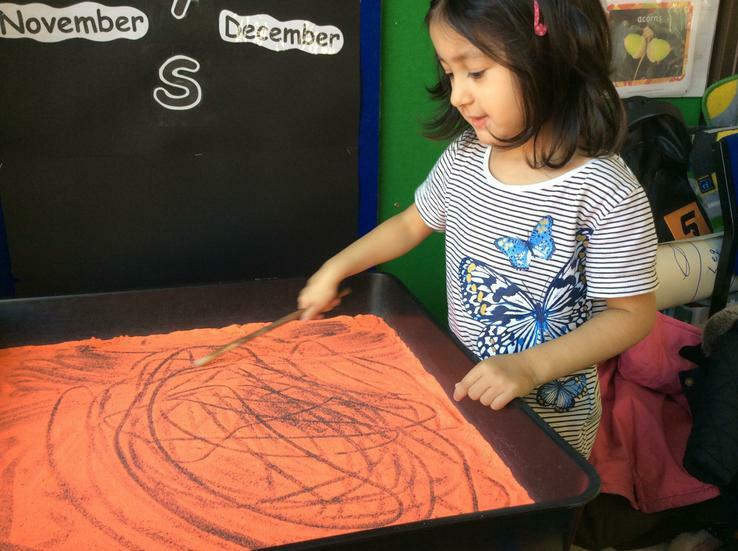 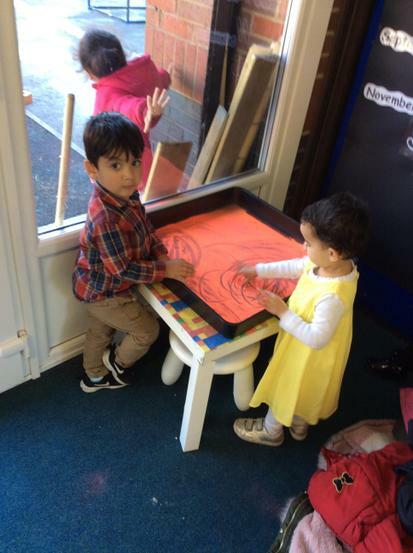 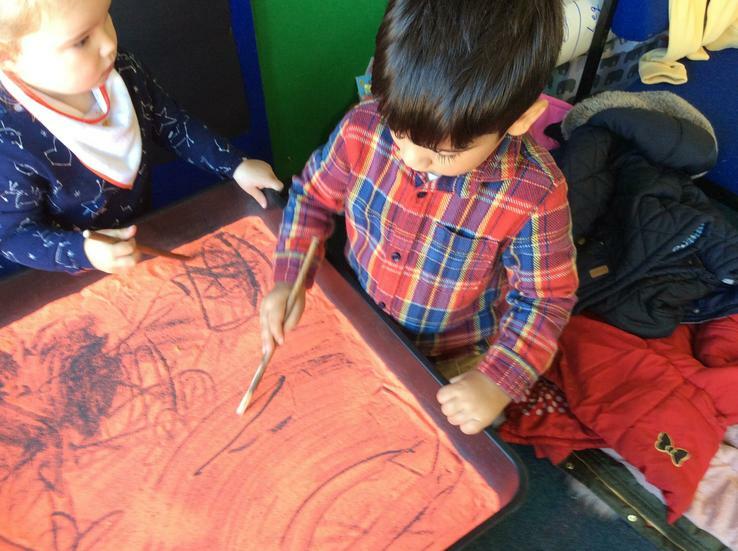 The children showed their different preferences and enjoyment of the activity.